Rahul Gandhi had in December 2016 called demonetisation of Rs 500 and 1,000 notes the biggest scam in India’s history and had insisted that “an earthquake” will occur if he was allowed to speak on the issue in Parliament. Paresh Rawal challenged Rahul Gandhi to speak for 15 minutes without fumbling and without making any mistake. 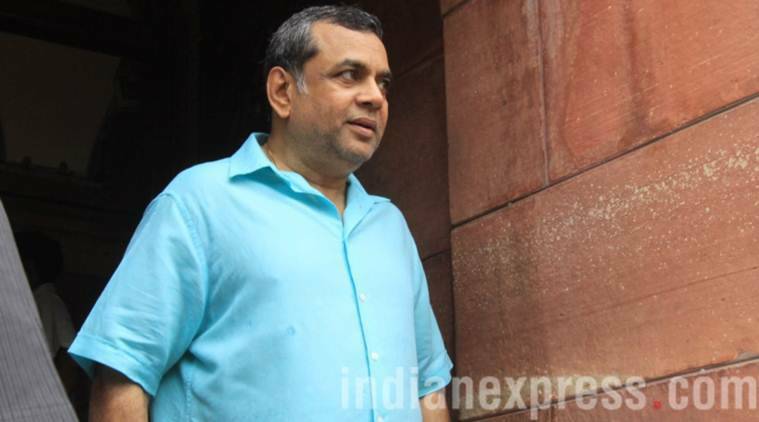 Taking potshots at Congress president Rahul Gandhi ahead of the no-confidence motion against Prime Minister Narendra Modi-led NDA government in Lok Sabha, actor and Bharatiya Janata Party (BJP) MP Paresh Rawal on Friday challenged him to speak for 15 minutes without fumbling and without making any mistake, according to ANI. In December 2016, after the demonetisation, Gandhi had called demonetisation of Rs 500 and 1,000 notes the biggest scam in India’s history and had insisted that “an earthquake” will occur if he was allowed to speak on the issue in Parliament. In May this year, during the election campaigns in Karnataka, PM Modi had challenged the Congress President to speak for 15 minutes and listing down the party’s achievements in Karnataka without referring to a paper. He had also said that Rahul Gandhi can speak in any language as he pleases, including his mother tongue. “For 15 minutes, without taking a paper in your hand, can you please talk about the achievements of your government in Karnataka? “You can speak in any language as you please — English, Hindi or your mother’s mother tongue,” PM Modi had said. Following this, former Karnataka Chief Minister Siddaramaiah had thrown a counter-challenge by asking him to speak for 15 minutes about the achievements of the erstwhile B S Yeddyurappa government in Karnataka even by looking at a paper. “Dear PM @narendramodi ji, I challenge you to speak about the achievements of B S Yeddyurappa’s Govt in Karnataka for 15 minutes by looking at a paper. Sincerely Siddaramaiah,” he had tweeted.